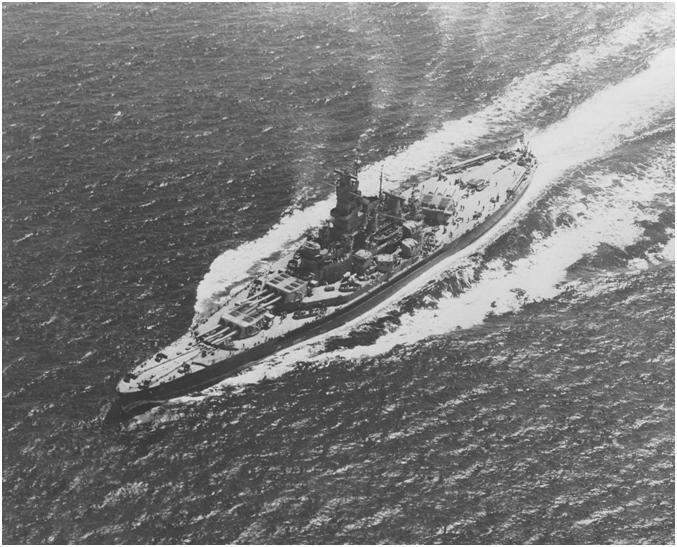 USS South Dakota BB-57 on her shakedown cruise in July 1942. The article is divided into PDF files, each up to 3 Mbytes in size. The large size of these files may cause problems for your browser. For best performance, please wait until the file finishes loading before trying to scroll through it. This material are copyrighted by Robert Lundgren, Nathan Okun and NavWeaps and may not be used for commercial purposes without prior written authorization. Do you have questions or comments about this article? Head over to the NavWeaps discussion board and join the discussion. Complete copies of the pdf file for this document are available for $5.00US. File enhanced on 15 May 2015 to increase the quality of photographs and sketches. The pdf will be made available to you as a unique downloadable 33 Mbyte file. Please click on the button below to order.